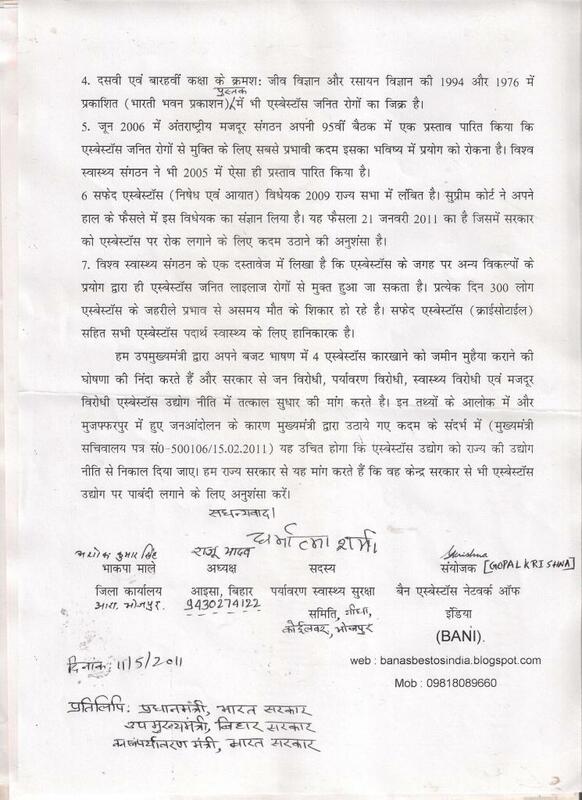 Dated: 6th July 2011: The National Human Rights Commission (NHRC) has taken cognizance of a complaint alleging that about fifty thousand people die every year in the country due to Asbestos related cancer. The complainant has sought Commission's intervention for a ban on the use of Chrysotile Asbestos (White Asbestos), which is hazardous for the health of people and causes various incurable diseases. The white Asbestos is a fibrous material used for building roofs and walls and various in other forms. The pdf version of the NHRC statement is attached. Citing contradictory position of the Government on the issue the complainant Gopal Krishna of Toxics Watch Alliance has alleged that though the mining of Asbestos has been technically banned by the government, but it allows its import and that too from the countries which do not prefer its domestic use. It is also alleged that white Asbestos is considered a hazardous chemical substance for environment by a number of countries in the world. However, it is being used in a number of industries in India affecting the workers employed their in. The complainant has also requested for grant of a compensation package for present and future victims of Asbestos diseases. The Commission has issued notices to the Secretaries of Ministries of Chemical Fertilizers, Environment and Forest, Health and Family Welfare, Industry and Commerce, Labour and Chief Secretaries of all the States/Union Territories calling for status reports within four weeks on the issues raised in the complaint. I) How many industries/factories exist in the State where asbestos is used. Is there an inventory of products wherein the said material is used? II)Total number of workers in the said industry? III)Whether there is regular medical check-up and whether medical facilities exist? IV)Whether there is any record of persons who died because of asbestosis? V)How many persons suffer from asbestosis and whether they are receiving regular treatment for the said disease? VI)What steps States/UTs has taken to check/prevent occurrence of asbestosis and how many hospitals dealing with the occupational diseases exist in the State/UT. X) What action has been taken by the central government and the state governments to protect children from asbestos exposure in future? The applications seek necessary directions for its prevention and appropriate remedial steps are suggested/recommended and suitable directions are issued to the Central Government/State Governments and UTs. I wish to congratulate you for ensuring that NHRC (India) retained its “A” status in its accreditation with the International Coordinating Committee of the National Human Rights Institutions (NHRIs), Geneva which it has been holding since 1999 under UN’s “Paris Principles”. This status has been achieved and maintained because of the pro-active role of NHRC for the protection of human rights causes not only within the country but even in International Conventions as an independent body. I would, in particular, like to mention the bold and independent stand taken by NHRC in the matter of ban on Endosulfan wherein it urged the Government of India to join the international consensus against it in the UN's Stockholm Convention on Persistent Organic Pollutants (POPs). This position of NHRC has been deemed quite progressive world over. Endosulfan was banned in most of the countries but Government of India had not taken a pro-public health position on it. I submit that NHRC’s recommendation in the matter of Preventive Remedial Rehabilitative and Compensation for victims of lung disease-Silicosis. Such steps of NHRC and sensitivity towards environment and pollution related crimes are commendable. Similar to silicosis, asbestos related diseases are also incurable. Asbestos death toll has surpassed traffic fatalities in Australia. In US, every year 10, 000 people are dying because of asbestos related disease. There is an epidemic of asbestos diseases in Europe. In India, a silent Bhopal disaster is happening every year. The rate of consumption of asbestos in India is rising at an alarming rate due to budgetary support. Nearly all of Indi 's asbestos is mixed with cement to form roofing sheets. Bolstered by asbestos import tariffs that have been reduced from 78% in the mid-1990s to 15% by 2004, the country's asbestos-cement industry is increasing by roughly 10% every year. Since 2003, companies no longer require a special licence to import chrysotile asbestos. 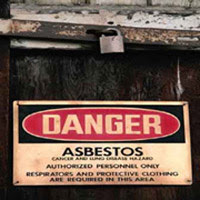 Since 1960, India has incorporated about 7 million tonnes of asbestos into its buildings. The health consequences are already apparent, but the scale of the problem is not clear because there is no documentation of disease caused by environmental and occupational factors. “The Government of India has a very poor, almost non-existent, system to record death and disease”, explains Arthur Frank from Drexel University , Philadelphia , PA , USA who was in New Delhi in March 2011. Besides, cancer is not a notifiable disease. 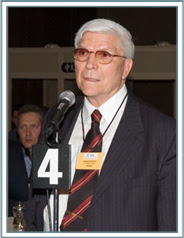 Prof. Frank cited a hospital in Mumbai which sees a dozen cases of mesothelioma every year. Studies have shown high rates of asbestosis among workers in the industry, including in those whose exposure to the material has spanned less than 5 years. There has been no real assessment of [asbestos-related disease] to the point that you can get accurate figures. Like Endosulfan, several attempts have been made to include chrysotile asbestos (White Asbestos) on the UN’s prior informed consent list of hazardous chemicals due to non-cooperative role of the Government of India and exporting countries like Canada, the UN Convention has failed to do so. Chrysotile asbestos is banned in 55 countries, including the European Union and Japan etc. The verdict even by the World Trade Organization (WTO)’s Appellate Body (AB) which validated the rights of Member States to prohibit the import and use of goods which contain carcinogenic substances such as chrysotile asbestos (white asbestos) is noteworthy. On March 12, 2001 the WTO's Appellate Body (AB) issued its ruling in the case of Canada vs. the European Communities Measures Affecting Asbestos and Asbestos-Containing Products. It noted that safe and controlled use of chrysotile asbestos is impossible. India is the largest importer of asbestos, according to the United Nations Commodity Trade Statistics Database. Most of it goes into making corrugated roofing sheets as building material. 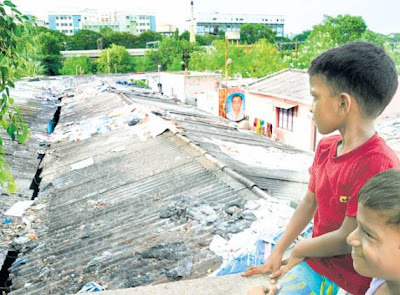 It is also noteworthy that the National Human Rights Commission (NHRC) too has passed an order in Case No: 693/30/97-98 recommending that the asbestos sheets roofing be replaced with roofing made up of some other material that would not be harmful. I submit that the Annual Report of NHRC 2003-2004 refers to a Report entitled “Asbestos – Health and Environment – an in-depth Study “submitted by the Institute of Public Health Engineers, India. The study underlines that safe and controlled use of asbestos is not possible. It is relevant to point out that asbestos waste (dust and fibers) has been treated hazardous in all forms and has been banned under Hazardous Wastes Management Rules farmed under the Environment Protection Act, 1986. In our country, approximately 50, 000 people die every year due to asbestos related cancer. But so far Government of India has failed to take a pro-people’s health position and a scientific stand on the import of chrysotile asbestos whose mining is technically banned in India. I submit that there is a nexus of political class and business class which is not allowing Government of India to take steps to protect human health from the lethal fibers of chrysotile asbestos. It is relevant to note that Kerala State Human Rights Commission has recommended ban on use of asbestos roofs for schools and hospitals. In this regard, I may point out that NHRC’s urgent attention is required towards the 5th Conference of the Parties (COP5) to the UN's Rotterdam Convention on the Prior Informed Consent Procedure for Certain Hazardous Chemicals and Pesticides in International Trade to be held in Geneva during June 20-24, 2011 wherein the fate of Endosulfan, Chrysotile asbestos and some other chemicals will be decided for inclusion in the UN list of hazardous chemicals. Having succeeded in, blocking UN recommendations on, four previous occasions, there is little doubt that, chrysotile asbestos producers will repeat their obstructive, behaviour at the COP-5, Rotterdam Convention held in Geneva. It is high time Government of India is asked to detach itself from the unethical practice of chrysotile asbestos producing countries. In order to meet its objective, COP5 of Rotterdam Convention will consider the inclusion in Annex III of chrysotile asbestos, Endosulfan and other chemicals under agenda item 5 c.
It appears that Government of India has been misled about the toxicity of to chrysotile asbestos. As a consequence, the global public opinion and Indian citizens have begun to consider Indian chrysotile asbestos companies as the main obstacle to the inclusion of chrysotile asbestos in the list of UN agreement on hazardous chemicals. I submit that a just transition program for asbestos workers, their families and communities around asbestos plants and products is urgently required, the NHRC may recommend to Government of India to adopt such a program. • To refer to World Bank's Asbestos Good Practice Guidelines. These Guidelines, as well as its earlier Environmental, Health & Safety General Guidelines, require that the use of asbestos must be avoided in new construction in projects funded by the World Bank around the world. The Guidelines also provide information on available safer alternatives to asbestos. In such a backdrop, it is germane to ask as to why India still a leading importer of chrysotile asbestos. It is submitted that Canadian government which exports chrysotile asbestos to India has removed it from Canadian Parliament and its Prime Minister's Home. India has technically banned mining of asbestos (including chrysotile) but allows import, manufacture and use of asbestos based products which are proven to be deadly! The UN's Rotterdam Convention on the Prior Informed Consent Procedure for Certain Hazardous Chemicals and Pesticides in International Trade is an important tool to protect human health and the environment by controlling trade in hazardous chemicals and pesticides that meet the requirements of the Convention. 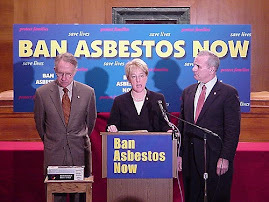 It is indeed unbecoming of a small number of Parties to the UN agreement (like Government of India), who have been misguided by commercial interest of chrysotile asbestos companies to the Convention hostage by refusing to cooperate with the scientific process of the Convention and the will of the overwhelming majority or Parties. It does not behove the stature of Government of India to wield a veto over the Convention against the listing of chrysotile asbestos as a hazardous substance and deny itself the sovereign right to utilize the prior informed consent procedure. When a hazardous substance is listed under Annex III of the Convention, Parties like Government of India has the sovereign right to utilize the procedure. 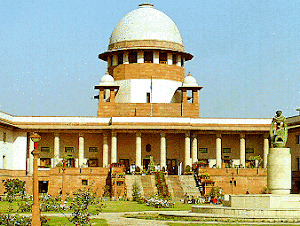 It is an act of immorality of Government of Canada to have prevailed upon Government of India to obstruct the recommendation of the Chemical Review Committee regarding chrysotile asbestos to protect the blind lust for commercial profit at the cost of the health of Indian citizens and workers. It is quite sad that Government of Canada has misinformed and misguided Government of India to deny itself the right to control its own borders from hazardous substances under the manifest influence of chrysotile asbestos companies. The Rotterdam Convention is based on the principle of environmental justice. It has been witnessed that increasingly, hazardous chemicals and pesticides that are banned or severely restricted in industrialized countries are being shipped to developing countries or countries with economies in transition, where resources to safely monitor and manage these dangerous substances are often lacking or non-existent. The Rotterdam Convention addresses this inequality in exposure to environmental and human risk by empowering countries with the right to Prior Informed Consent. All Parties to the Convention have a legal and moral obligation to support the right to Prior Informed Consent in the Convention as an important tool for overcoming the widening gap. You will agree that human biology is same everywhere if the asbestos is deemed hazardous in the developed countries; it must be deemed so in India too. In view of the above, it is your solemn duty of NHRC to protect Indian citizens from the exposure of fibers of chrysotile asbestos. In pursuance of the same as a first step there is a compelling reason for Government of India to support listing of chrysotile asbestos in the Prior Informed Consent (PIC) procedure list of hazardous materials at the 5th meeting of the Conference of Parties (COP5) to the UN's Rotterdam Convention on the Prior Informed Consent Procedure for Certain Hazardous Chemicals and Pesticides in International Trade (20 to 24 June, 2011, Geneva). All the groups working on human rights, labour rights, health rights and environmental justice will appreciate if NHRC intervenes urgently in the matter of Chrysotile Asbestos as it did in the case of Endosufan. We will happy to meet and share additional information. Asbestos, a commonly used construction material, is now drawing as much heat for its carcinogenic properties as endosulfan has for its debilitating side-effects. Fifty-five countries across the world have banned asbestos and people in the US are suing builders for billions of dollars for health problems caused by exposure to asbestos, but it appears as though Tamil Nadu just cannot get enough of the hardy sheets. They are used in everything from cramped, makeshift quarters provided for construction workers who build roads and flyovers or as roofing for garages. Asbestos is close to indispensable in the state. Asbestos is considered a sturdy, waterproof, fire retardant material that can be bought for as low as Rs 250 per sheet, making it the poor man’s delight. However, the fibrous mineral is constantly shedding particles that cause irreversible damage to the lungs, and even trigger dangerous cancers when inhaled continuously. “Asbestos use was restricted in the ’60s, but the cheap construction material is used widely these days. Around 80 per cent is used for roofing purposes in slums and temporary shelters. Asbestos waste is not biodegradable, and these fibres tend to get lodged in the lungs. Initially, exposure causes allergic symptoms of coughing, sneezing and weight loss, but chronic exposure can cause pneumoconiosis and cancers of the lungs and bronchi,” said Dr S. Elango, former state director of public health. “At a time when most nations, including Australia, and the European Union, have banned asbestos, Tamil Nadu is using copious amounts of the material. After the Kumbakonam fire tragedy, asbestos lobbyists convinced the TN government to replace all eco-friendly thatched roofing in government schools with asbestos roofs — a deadly move for the state’s children,” says Mr Gopal Krishna, founder of the Ban-Asbestos Network in India. “India’s asbestos industry is now worth Rs 4,500 crore and some of the key private players are based in Tamil Nadu. What’s worse is that the state government runs asbestos factories under the Tamil Nadu Cements Corporation label. There are PSU plants in Virudhunagar, Perambalur, Karur and Cuddalore districts, where workers, their families and the surrounding communities are exposed to the toxic fibres,” he laments. In addition to using asbestos in all its constructions, the government is promoting the killer material by waiving sales tax on asbestos sheets. The Central government had banned mining of white asbestos (chrysotile) in 1989 as the asbestos dust was recognised as a severe health hazard. However, Indian companies continue to import asbestos from Canada and Russia, and employ hapless workers to mould the toxic material into the ubiquitous corrugated sheets. On June 23 however, the Indian delegation to the ongoing Rotterdam convention in Switzerland agreed to include asbestos in their list of harmful chemicals. The Rotterdam convention is a United Nations Treaty that promotes responsible handling of hazardous chemicals, and India’s move may encourage other nations like Canada, Ukraine, Kazakhstan, Kyrgyzstan and Vietnam to discourage asbestos use. “Maybe this is the beginning of the end,” says a hopeful Gopal Krishna. On behalf of Ban Asbestos Network of India (BANI), I wish to express my gratitude for your exemplary leadership in changing Government of India's position on chrysotile asbestos (white asbestos) that clears the way for its elimination in near future. 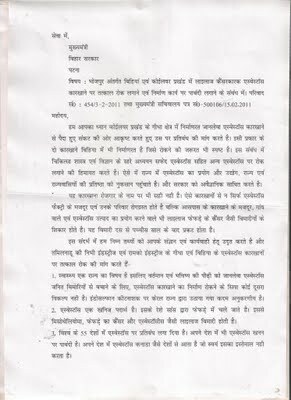 I had written to you on 13th June stating " the global public opinion and Indian citizens have begun to consider you as the main obstacle to the inclusion of chrysotile asbestos in the list of UN agreement on hazardous chemicals" and urged you to urged you to "resist undue influence of chrysotile asbestos companies". 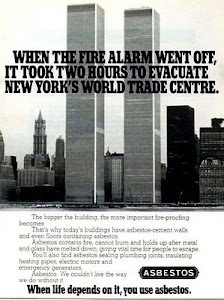 I salute you for resisting the influence of twins of asbestos companies- Asbestos Cement Products Manufacturers' Association and Asbestos Information Centre. 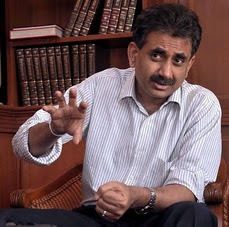 Now I say, the global public opinion and Indian citizens consider you a supporter of ban on chrysotile asbestos unlike the Canadian Prime Minister whose act has compelled European Union (EU) to call for sanctions against Canada for derailing a United Nations protocol to protect vulnerable populations from the hazards of asbestos on June 30, 2011. At this UN Meet, Indian delegation received was greeted with standing ovation from the delegates from all over the world. But when this happened there was deafening silence in Indian media. It is appropriate in such a situation that the Press Council of India and Union Ministry of Information & Broadcasting seek an explanation from the news channels, newspapers, business newspapers, news magazines, radio and news websites who chose to make this global news of seminal importance because it paves the way for eventual phase out of all chrysotile asbestos based product to safeguard the health of present and future generation of Indians, a non-news in India. I wish state that Ban Asbestos Network of India (BANI) applauds the role of Shri Jairam Ramesh, Union Ministry of Environment & Forests and Shri M. K. Alagiri, Union Ministry of Chemicals & Fertilizers at the 5th meeting of the Conference of Parties (COP5) to the UN's Rotterdam Convention on the PIC Procedure for Certain Hazardous Chemicals and Pesticides in International Trade in Switzerland on 22nd June, 2011 in the matter of listing of chrysotile asbestos (white asbestos) in the UN list of hazardous chemicals and pesticides. Parliament that all forms of asbestos causes incurable diseases as a Union Health Minister. BANI places on record its appreciation for the work of Ms Mira Mehrishi, Additional Secretary, Ministry of Environment and Forests, Mr Manoranjan Hota, Mr Sanjay Bansal, Director, Ministry of Chemicals and Fertilizers and Ms Jyoti Singhal, Under Secretary, Ministry of Agriculture in announcing that Government of India considers chrysotile asbestos suitable for listing in the Prior Informed Consent (PIC) procedure list of hazardous chemicals. If these measures are undertaken, present and future generation of Indians will remember you as a seemingly silent but effective minister who left his mark despite all odds. An appropriate order may be passed with regard to the above and my previous submissions to you. I will be happy to share relevant information and documents. This is an earnest appeal to you to ensure that Government of India votes to list chrysotile asbestos (white asbestos) as a hazardous substance, which it has been refusing to do so since 2004 (COP1) years under the influence of asbestos companies unmindful of the human rights violation it entails. During 20- 24 June, 2011, India will get yet another opportunity to rectify its untenable position on hazardous nature of chrysotile asbestos in Geneva at the 5th meeting of the Conference of Parties (COP5) to the UN's Rotterdam Convention on the Prior Informed Consent Procedure for Certain Hazardous Chemicals and Pesticides in International Trade. Having succeeded in, blocking UN recommendations on, four previous occasions, there is little doubt that, chrysotile asbestos producers will repeat their obstructive, behaviour at the COP-5, Rotterdam Convention held in Geneva. It is high time Government of India detached itself from their unethical practice. Refer to World Bank's Asbestos Good Practice Guidelines. These Guidelines, as well as its earlier Environmental, Health & Safety General Guidelines, require that the use of asbestos must be avoided in new construction in projects funded by the World Bank around the world. The Guidelines also provide information on available safer alternatives to asbestos. It brings discredit to the scientific temper of India as a nation that it has failed to factor in the fact that asbestos is banned in 55 countries, including the European Union and Japan in its policy making. India is the largest importer of asbestos, according to the United Nations Commodity Trade Statistics Database. Most of it goes into making corrugated roofing sheets as building material. In such a backdrop, it is germane to ask why is Government of India still a leading importer of asbestos? It is submitted that Canadian government which exports chrysotile asbestos to India has removed it from Canadian Parliament and its Prime Minister's Home. Believe it or not, India has technically banned mining of asbestos (including chrysotile) but allows import, manufacture and use of asbestos based products which are proven to be deadly! The Chemical Review Committee plays a critical role by ensuring that the review mechanism of the Convention is used objectively and that science is the cornerstone of the review process. If the recommendations of the Chemical Review Committee are obstructed (which India has done since 2004), the Convention will fail in achieving its mandate. Instead of being based on science, public health decisions will be based on political expediency. It is an act of immorality of Government of Canada to have prevailed upon Government of India to obstruct the recommendation of the Chemical Review Committee regarding chrysotile asbestos to protect the blind lust for commercial profit at the cost of the health of Indian citizens and workers. It is quite sad that Government of Canada has misinformed and misguided Government of India to deny itself the right to control its own borders from hazardous substances under the manifest influence of chrysotile asbestos companies. The Rotterdam Convention is based on the principle of environmental justice. It has been witnessed that increasingly, hazardous chemicals and pesticides that are banned or severely restricted in industrialized countries are being shipped to developing countries or countries with economies in transition, where resources to safely monitor and manage these dangerous substances are often lacking or nonexistent. The Bench of Chief Justice of India notes, “Canada and Russia are the biggest exporters of white asbestos. In 2007, Canada exported 95% of the white asbestos, it mined out of which 43% was shipped to India. In view of these facts, there is an urgent need for a total ban on the import and use of white asbestos and promote the use of alternative materials. It is also noteworthy that the National Human Rights Commission (NHRC) too has passed an order in Case No:693/30/97-98 recommending that the asbestos sheets roofing be replaced with roofing made up of some other material that would not be harmful. The Annual Report of NHRC 2003-2004 refers to a Report entitled “Asbestos – Health and Environment – an in-depth Study “submitted by the Institute of Public Health Engineers, India. The study underlines that safe and controlled use of asbestos is not possible. You will agree that human biology is same everywhere if the asbestos is deemed hazardous in the developed countries, it must be deemed so in India too. In view of the above, it is your solemn duty to protect Indian citizens from the the exposure of fibers of chrysotile asbestos. In pursuance of the same as a first step there is a compelling reason for Government of India to support listing of chrysotile asbestos in the Prior Informed Consent (PIC) procedure list of hazardous materials at the 5th meeting of the Conference of Parties (COP5) to the UN's Rotterdam Convention on the Prior Informed Consent Procedure for Certain Hazardous Chemicals and Pesticides in International Trade (20 to 24 June, 2011, Geneva). We will be happy to meet and share additional information. The Union minister for Chemicals and Fertilizers, MK Azhagiri, has received a rare appreciation from NGOs which normally complain about the functions of government. His Ministry's decision in a global forum to reverse a years long stand about Asbestos has fetched him the appreciation. In the 5th meeting of the Conference of Parties (COP5) to the UN's Rotterdam Convention on the Prior Informed Consent (PIC) Procedure for Certain Hazardous Chemicals and Pesticides in International Trade in Switzerland on 22nd June, 2011, India has given its consensus for the listing of Asbestos in the UN hazardous and harmful chemicals list. The moment the Indian decision was announced, the gathering comprised of international delegates gave a half a minute standing ovation. Now Canada, which is the largest exporter of Chryosotile asbestos (White asbestos) is opposing this move which means after Asbestos is listed in the PIC procedure, it is mandatory for the exporting country to provide the data about the asbestos mineral that is being exported. In a letter to M.K. Azhagiri, Ban Asbestos Network of India (BANI) and Toxics Watch Alliance (TWA) have expressed their appreciation to him and his team of officials in the Ministry. 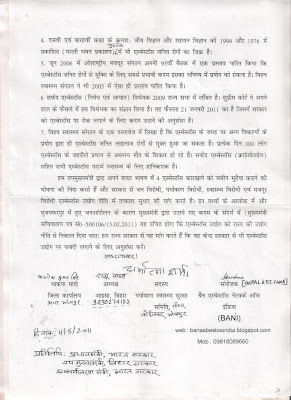 ''BANI and TWA salute you for resisting the influence of twins of asbestos companies- Asbestos Cement Products Manufacturers' Association and Asbestos Information Center”, the letter reads. It further states that this decision clears the way for the elimination of Asbestos in the near future. They have also made some recommendations to the Ministry which include removing of asbestos from public and private buildings, banning the use of asbestos based products and initiating a rehabilitation programme for those affected with asbestosis. ''Azhagiri has restored the reputation of Indian Government by taking a decision based on Science. He has successfully resisted the powerful Asbestos Industry lobby," Gopal Krishna, an Environmentalist associated with BANI told TSI. According to World Health Organisation's latest estimate, asbestos claims 107,000 lives a year. NGOs and activists all over the World are calling for stopping its use.